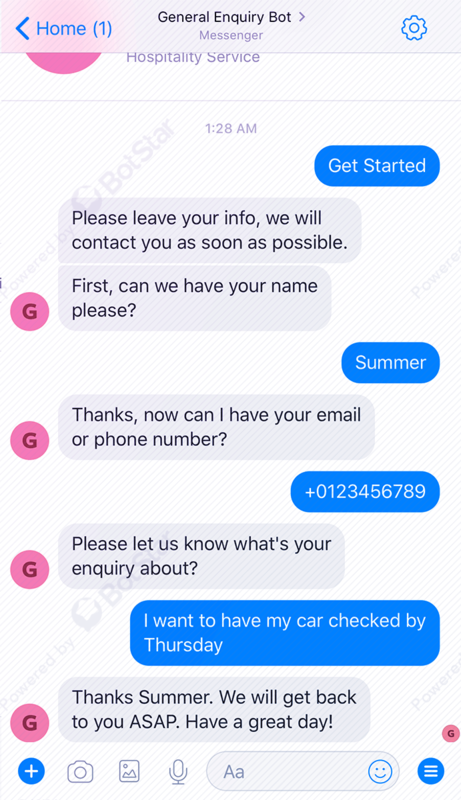 Super simple but effective chatbot to capture your customers' enquiries. 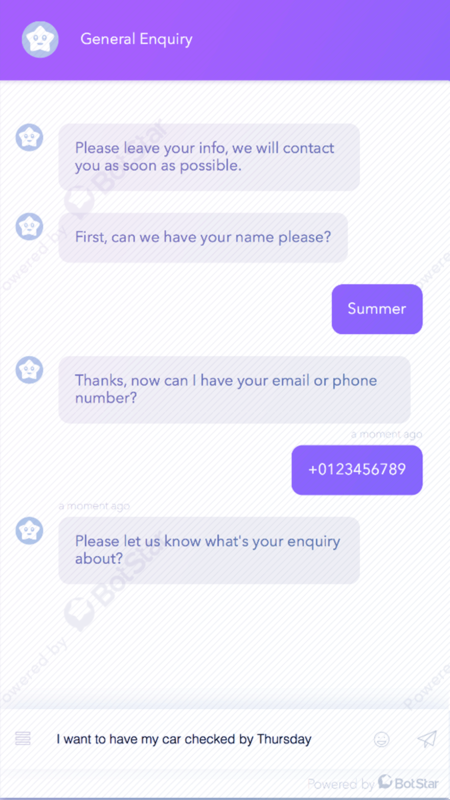 This simple template will act like a contact us form that capture your users' inquiries effortlessly. The quality of customer service affects directly to your corporate image. Once customers are dissatisfied, they are unlikely to use your product again. That's the reason why you should take every opportunity to deliver the best customer experience. A chatbot can definitely help you to do so. 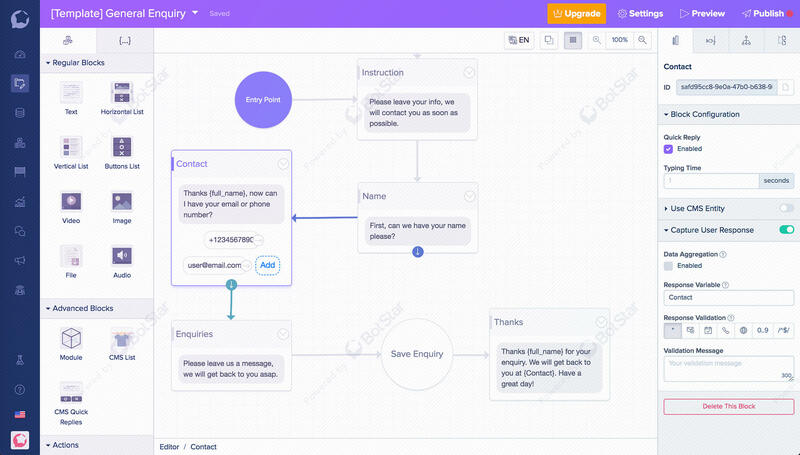 This virtual assistant can improve your customer service by collecting and answering enquiries quickly, cheaply and consistently. Chatbots don't sleep, they can immediately tackle issues no matter what time it is. They can also handle a high volume of requests with similar responses, which helps corporates reduce service time and operating costs.